This student submission comes from my former student Dorathy Scrudder. Her topic, from Precalculus: finding symmetry when graphing a function. Finding symmetry when graphing a function will help my students in their future physics classes and math classes. Symmetry is used in physics when talking about projectile motion. When an object is thrown up into the air, it has a constant horizontal velocity and a constant vertical acceleration. This creates a symmetrical parabola when graphed. By covering symmetry when graphing a function with my students in pre-calculus, they will be better prepared to understand the concepts being introduced in their physics classes. Symmetry in functions is also used in calculus classes when discussing trigonometric functions such as sine, cosine, and tangent. Symmetry is also found in statistics classes when talking about normal bell curves. By introducing the concept of symmetry in graphing functions in pre-calculus, my students will have an easier time understanding trigonometric functions in their calculus classes and bell curves in their statistics classes as well as higher level math classes. 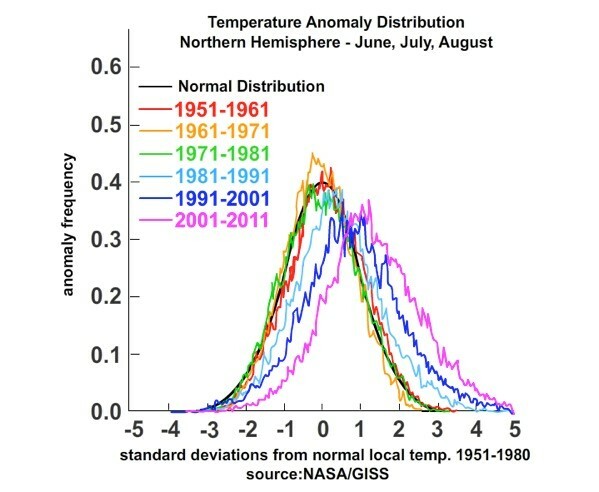 This information was found at http://ricochetscience.com/extreme-weather-are-high-temperatures-the-new-normal/ .